Taiwan's HTC unveiled a new flagship smartphone in its domestic market Thursday with revamped designs which analysts said may boost the company's sluggish sales against rivals Apple and Samsung. 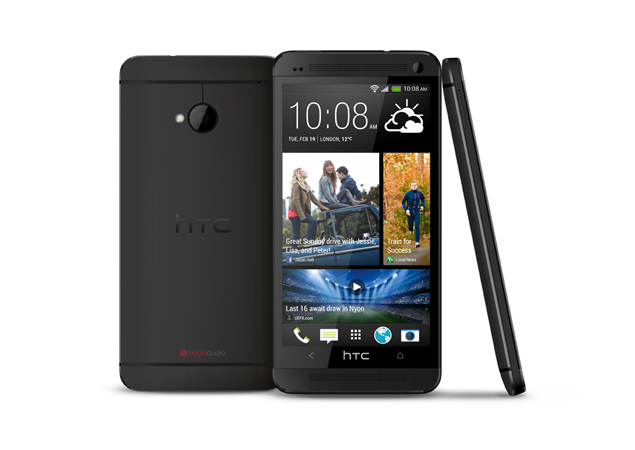 The much-anticipated HTC One, which carries a 4.7-inch full high-definition screen, made its local debut following the gadget's launch in London and New York last month. "New HTC One is a breakthrough," company president Peter Chou told thousands of fans gathered in downtown Taipei. At the centre of the gadget is new software that turns the home screen into a platform including social networking updates, news articles, photos and videos. "Users no longer need to go to separate applications to find out what's happening," Chou said. To enable this new approach to the gadget, HTC will also provide local and global content from some 1,400 media sources with more than 10,000 articles per day. Among the content providers are AFP, the AOL family of media properties and ESPN. The new cellphone is adorned with two front-facing stereo speakers on its aluminium unibody, and it can also be used as remote control for most TVs, set-top boxes and receivers. Analysts said the flagship smartphone, selling for a minimum of Tw$20,000 ($670), is expected to boost the company's sales, which in February plunged 44 percent year-on to $384 million, the lowest since January 2010. "Its sales are expected to go up but we'd have to wait for two months to see how the new gadget helps," said Alex Hsu of Grand Cathay Securities. While challenged by Apple and Samsung in mature markets, HTC has been turning to emerging markets including China, analysts say. But it faces competition from China's telecom giants Huawei Technologies and ZTE Corp, which have grabbed a huge slice of the world's low-priced markets. HTC in December unveiled Butterfly, its first smartphone featuring a high-resolution five-inch screen. it is a nice phone with amazing display,superb camera,and internal storage capacity of the device may vary from 32GB to 64GB. The HTC One is brilliant but HTC should have included a microSD card slot in the phone.